A scheme to have cheaper parking for residents in council-run car parks in Scarborough, Whitby and Filey has been delayed. 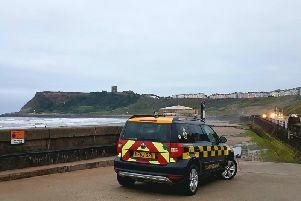 A group of Independent councillors on Scarborough Borough Council called in a decision taken earlier this month, which would have seen people living in the popular tourist towns of Scarborough, Whitby and Filey pay £10 per year for a permit which would give them a discount on the price per hour in Scarborough Council’s car parks. The decision, taken by Tourism portfolio holder, Cllr Andrew Jenkinson, started a 21-day consultation before the authority’s cabinet would have to decide whether to implement the scheme. The issue for the councillors who made the call-in is that in order to offset the cost of the scheme the council would scrap its free winter parking initiative. Wednesday's, the council’s Overview and Scrutiny Board, referred the decision back to the portfolio holder, saying the board should have been consulted first. Cllr Janet Jefferson (Ind) said she, as a member of the Car Park Working Group, had not been invited to a meeting in May where the changes were discussed. Cllr Jefferson, who brought the call-in, said: “This will impact our visitor economy. We are putting up the price per hour in car parks alongside this scheme so I do not see why we need to scrap free winter parking to pay for it. Cllr Jenkinson said it was “human error” that Cllr Jefferson had not been invited to the meeting and apologised to her. However, he defended his decision by saying it was the correct choice. Cllr Jenkinson added that Bridlington, Brighton, Bournemouth, Southport and Skegness all charge for parking in the winter. He also asked for an apology from Cllr Jefferson over a claim she’d made that a fellow independent councillor, Norman Murphy, had also been “deliberately” not invited to the Car Park Working Group Meeting. Cllr Jenkinson said Cllr Murphy received an invitation and “declined” to attend. Following a tied vote the board’s chairman, Cllr Steve Siddons, used his casting vote to refer the decision back to the portfolio holder. As part of the decision, the council will also consider changing its policy so that all decisions regarding car park charges must go to the Car Park Working Group and then the Overview and Scrutiny Board.